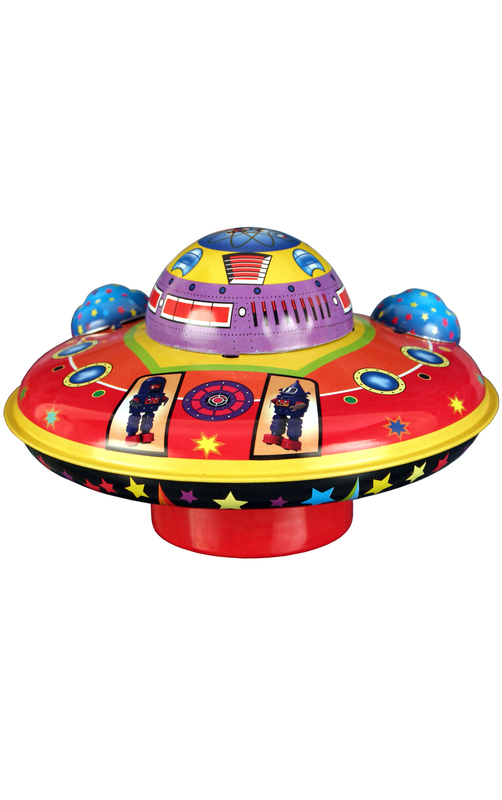 MS460 - Tin Toy - 4.25H x 5"W x 5"D"
MS460 - Collectible Tin Toy - Flying Saucer - 4.25H x 5"W x 5"D"
Tin flying saucer - key-wind; rolls forward - stops - spins around - then moves forward again! Made in China. Recommended for adult collectors.